Grow production output tenfold at the Lyman plant with only a minor increase in manpower. Achieve annual production volumes of more than 500,000 units per year. 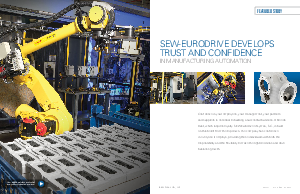 Become the most efficient operation within SEW-Eurodrive’s global network of manufacturing facilities, including its China operation.